Flat for sale in Blairgowrie | 27 Riverside Park | Thorntons Property - Estate Agents in Dundee, Edinburgh, Angus, Perthshire and Fife. This is an attractive, ground floor apartment forming part of a modern block situated in a cul de sac with easy access to the town centre and riverside walks. The building is entered via a secure entry system and affords well laid out, spacious accommodation which is neutrally decorated and benefits from gas central heating and double glazing. An open hallway gives access to a lovely lounge/dining room with patio doors to a small patio area out front. The modern fitted kitchen benefits from integrated appliances. A good size master bedroom has an ensuite, a dressing room fitted out with hanging rails and shelving and benefits from natural light. The second bedroom has fitted wardrobes. A good sized bathroom completes the accommodation. This is a great property to retire to. 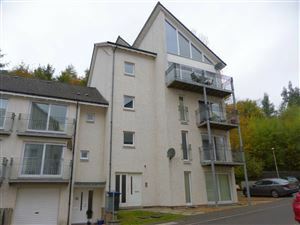 This would also have good letting potential and of course would make a lovely holiday flat in the ever popular Blairgowrie.